Creating embossed textured fondant is now in trend. 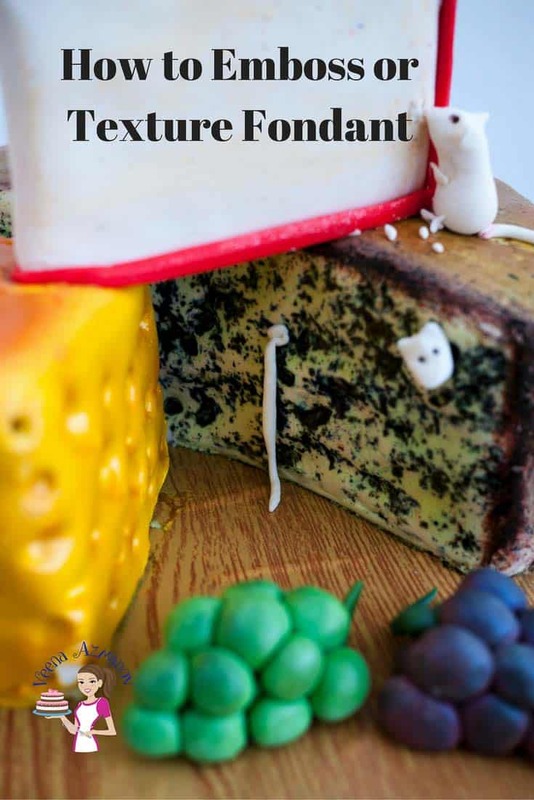 Texture can create a more realistic effect on fondant. 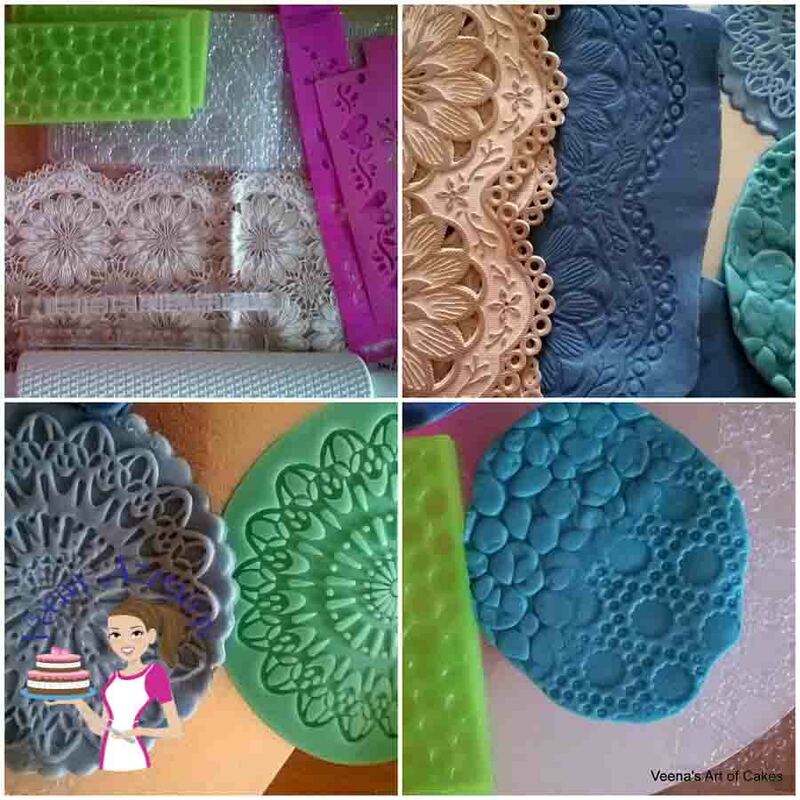 Embossing fondant with texture mats can add a lot of dimension to any simple plain fondant. 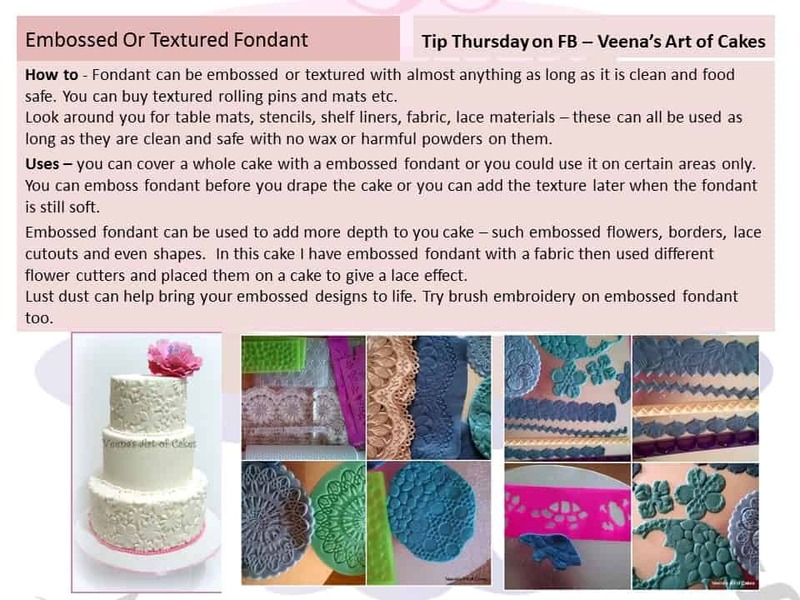 So today’s Tip Thursday on my page is about embossed Fondant also referred to as textured fondant. 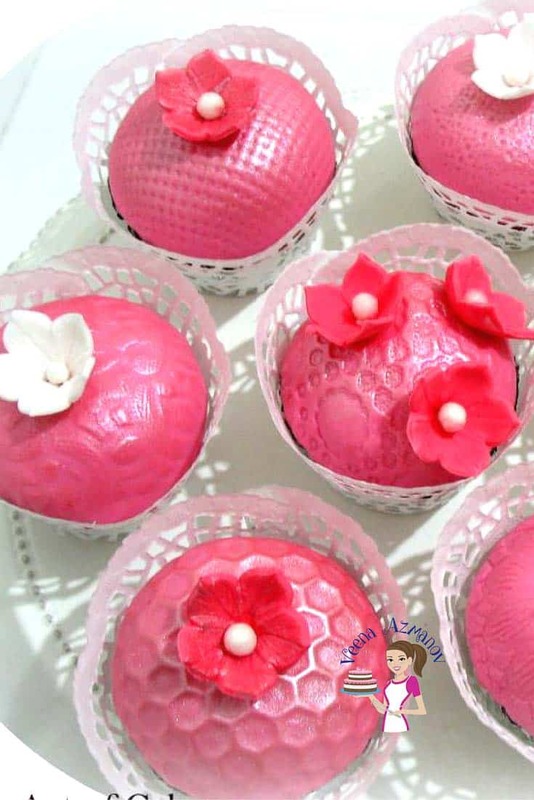 As you can see in these cupcakes I have a few different texture mats to emboss my cupcakes. Now you get a huge variety of texture mats in the market and not all of them are expensive. 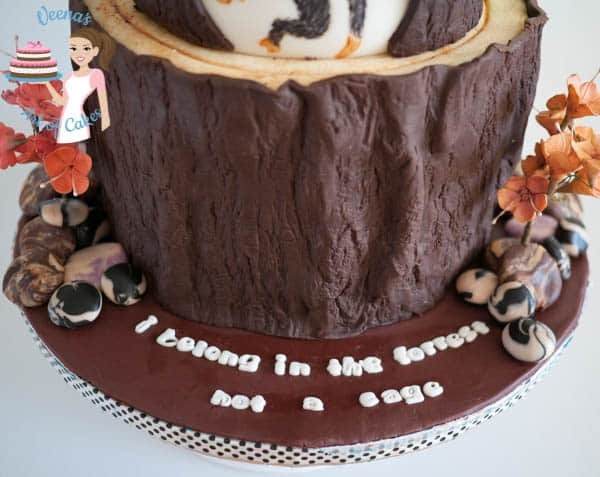 How to emboss or texture fondant? 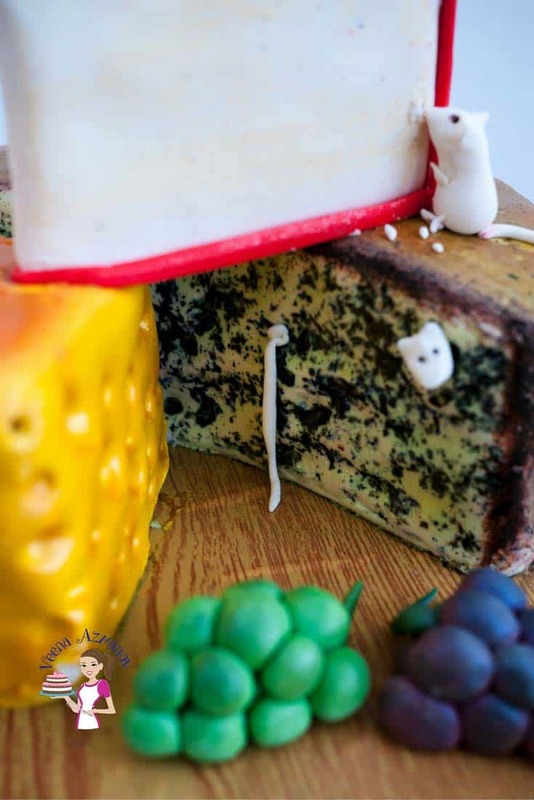 Fondant can be embossed or textured with almost anything as long as it is clean and food safe. 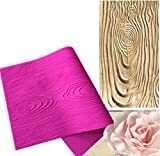 You can buy textured rolling pins and mats etc. However, if you look around you for table mats, stencils, shelf liners, fabric, lace materials – these can all be used as long as they are clean and safe with no wax or harmful powders on them. I use silicon doilies, table mats, thick embossed fabric. I even have a threaded rod that I have cleaned really well and can use it to texture my fondant. 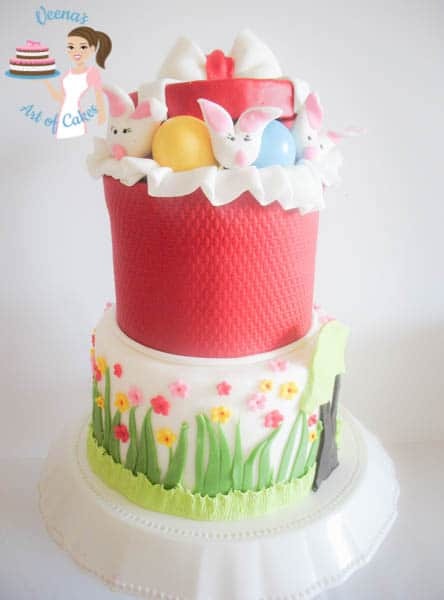 Cover a whole cake with a embossed fondant or you could use it on certain areas only. You can emboss fondant before you drape the cake or you can add the texture later when the fondant is still soft. 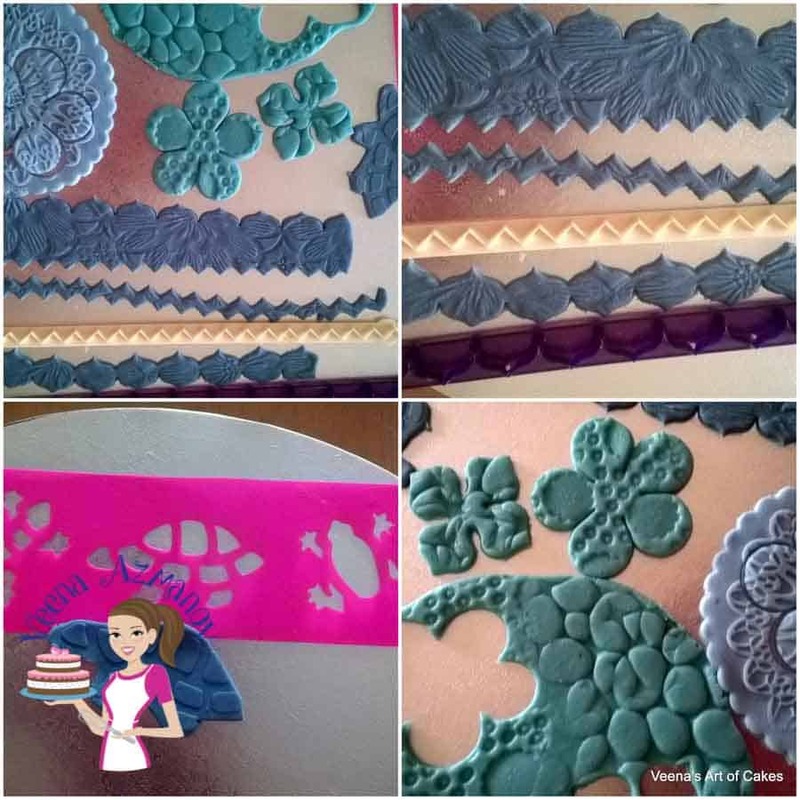 Embossed fondant can be used to add more character to you cake – such embossed flowers, borders, lace cutouts and even shapes. In this cake I have embossed the red fondant with a texture mat then draped the fondant around the cake using a panel method. Often; pearl Lust dust can help bring your embossed designs to life. One of the most common texture I find my customers like very much is wood. Weather it’s a tree trunk cake or a wood grain effect it seems to get them very excited. 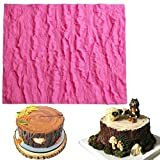 If I want to use the Dimond embossed mat after I've put the fondant on the cake, will this mat be flexible and go around the cake to emboss.